'Injustice 2' DLC Update: Another 'Mortal Kombat' Character to Join Sub Zero Soon? Battleground Series Tournament Happening Now! NetherRealms Studio is hinting that another 'Mortal Kombat' character to join Sub Zero who is confirmed to arrive next month. Meanwhile, a new tournament has been announced for the game. The event called Battleground Series will pit players across Canada in regional tournaments, as per Nerd Stash. It will initially take place online, and then the winners will compete in selected movie theaters across the country. The registration for the tournament is free and happening exclusively for "Injustice 2" PS4 version. It is presented by EB Games in partnership with Cineplex and World Gaming. The online qualifier is happening from June 24 to July 9, featuring 64 players a points-based format. The qualifiers will then be reduced to three single elimination tournaments happening in seven regions, with the top six players from each region will compete at the regional Cineplex movie theaters. Regional tournaments are happening in Montreal, Ottawa, Toronto, Winnipeg, Chinook, Langley, and Edmonton with the champion receiving $600. The second place receives $300 and the player in the third place gets$100. 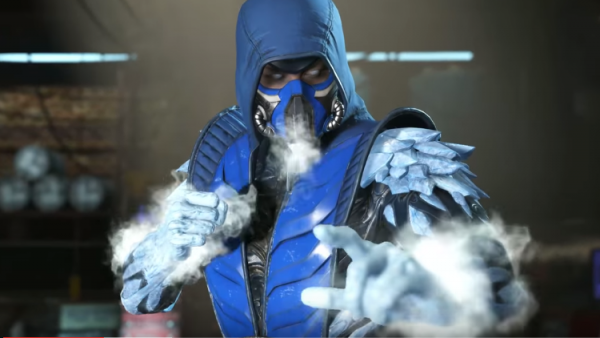 Meanwhile, the official release date of Mortal Kombat's Sub Zero for "Injustice 2" is now confirmed. Following the launch of Red Hood DLC during E3 2017, NetherRealms Studio has now announced the launch of Sub Zero DLC happening on July 11. However, it is likely that the "Mortal Kombat" veteran will be playable first to "Injustice 2" players who bought the Season Pass, and later to everyone else. Red Hood DLC was first released to those who bought the Deluxe, Ultimate, or Fighter pack, and then followed by everyone else a week later. Sub Zero was first introduced by NetherRealm Studios in a trailer fighting with the three Justice League heroes - Batman, Superman and Wonder Woman. The video showcases his ice combos, his deadly ice-blasting powers, and his new ice clone ability. He will be the first character to crossover from the Mortal Kombat franchise but he might not be the last. NetherRealm Studio has recently teased Raiden as a silhouette in the character roster, which may also arrive next via a DLC pack for "Injustice 2".